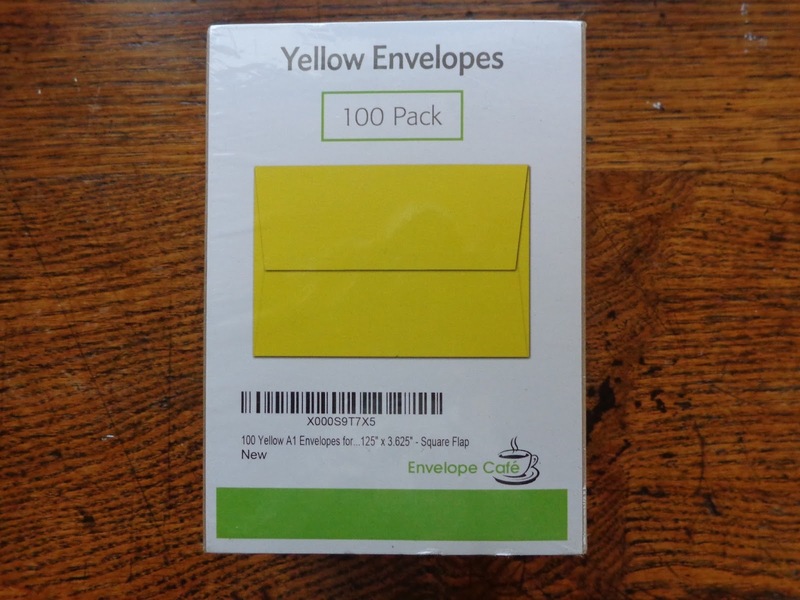 I searched Amazon for yellow envelopes and found a pack of 100, small enough (A1) to fit inside my A4 envelopes, for $9.99. I'd accidentally gotten signed up for a trial month of Prime days before, so this was perfect! 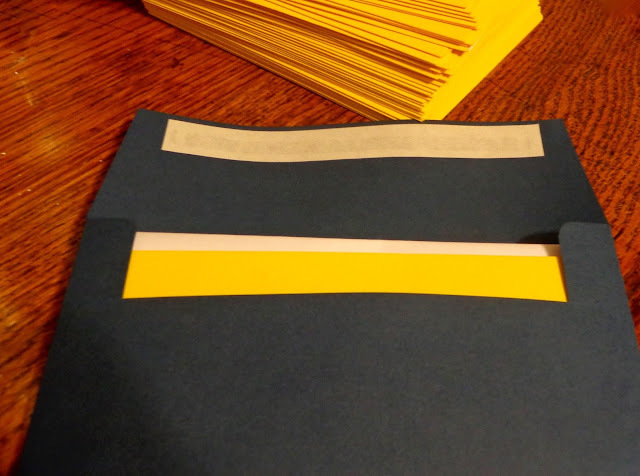 Ordered the envelopes in one click. A week or so later, today I finally gave my first two envelopes away! I went to the local coffee shop to get a small gift certificate for our mail carrier. The morning of, I decided to buy two. I put each in its respective envelope while I was still inside the shop, and gave the second envelope away as I was leaving. A woman was entering just as I was exiting, so I said "Hi!" 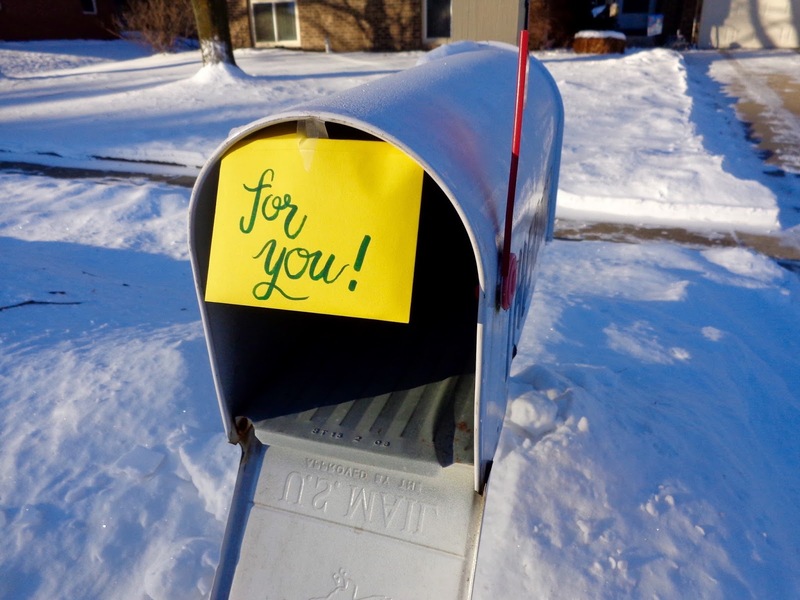 and then "This is for you," as I shoved the envelope into her hands and darted out of there. Hehe! I'd also recently gotten these cute compliment cards from Erin Condren*, so I was thrilled to include one in my post lady's yellow envelope. 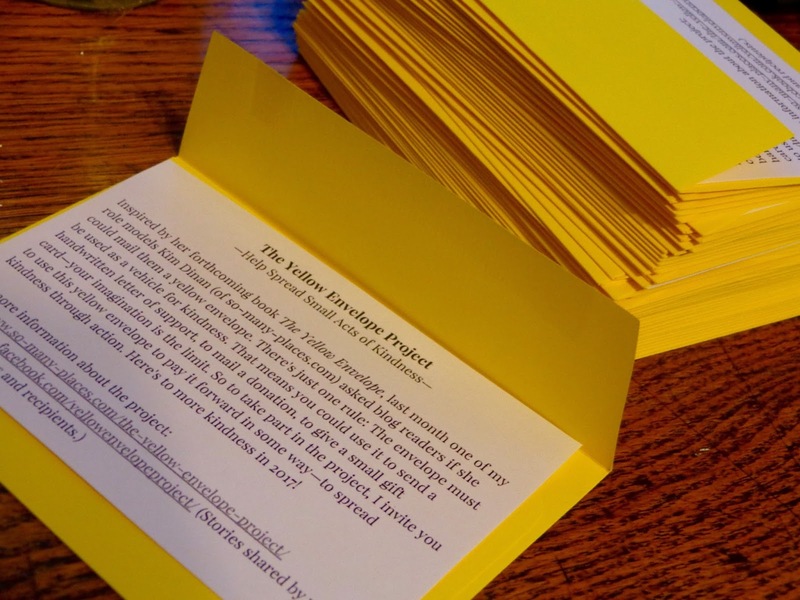 I still have about 10 yellow envelopes left. If you want one, I'll mail it to you (before Jan. 15)! Just email me your mailing address. *From one snail mail lover to another, if you happen to be purchasing anything from Erin Condren, use this referral link and we both get $10 off!